New Look 6808 – FINALLY! 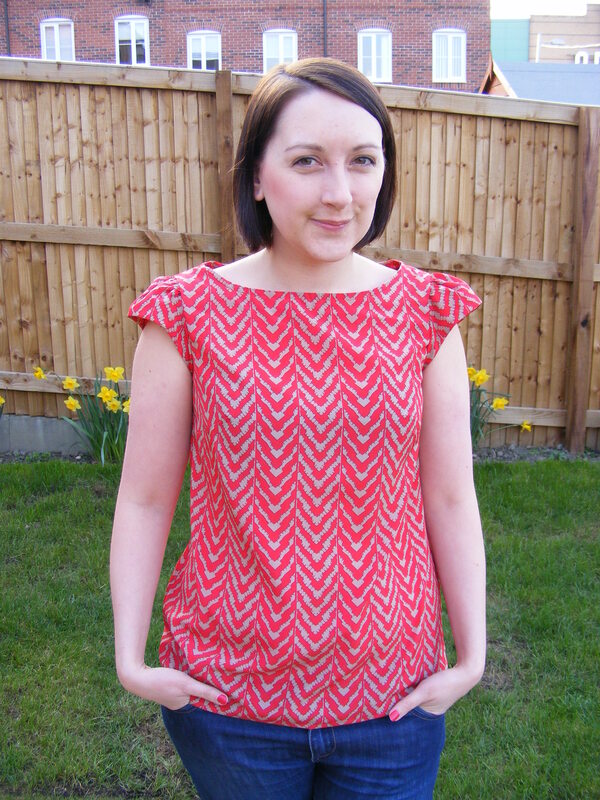 Yaaaaaaaaay I’ve finally finished a new look 6808 top after buying the pattern nearly a year ago. Why so long you might ask? Well it took me this long to fit it properly. I made four attempts. FOUR! Yeesh. I worked out I’m a 8 around the neck, a 10 at the arm holes and bust, a 12 at the waist and a 14 at the hips. Now I have the perfect fit though. I even added a centre back seam to help the fit. I used a purply-black poly micro-fibre fabric that I’d used as lining for my fake cambie. And some pink poly scraps I had for the collar and the sleeve lining. I’ve never encountered a pattern with lined sleeves before. Little odd but love the effect I was able to create here. I drafted the collar myself. I used the neck facings to work out the general size of the collar I needed and a french curve on the front collar pieces. I wish I’d curved them slightly closer together. There’s a small gap at the front that I don’t mind too much but wish I’d spotted earlier. 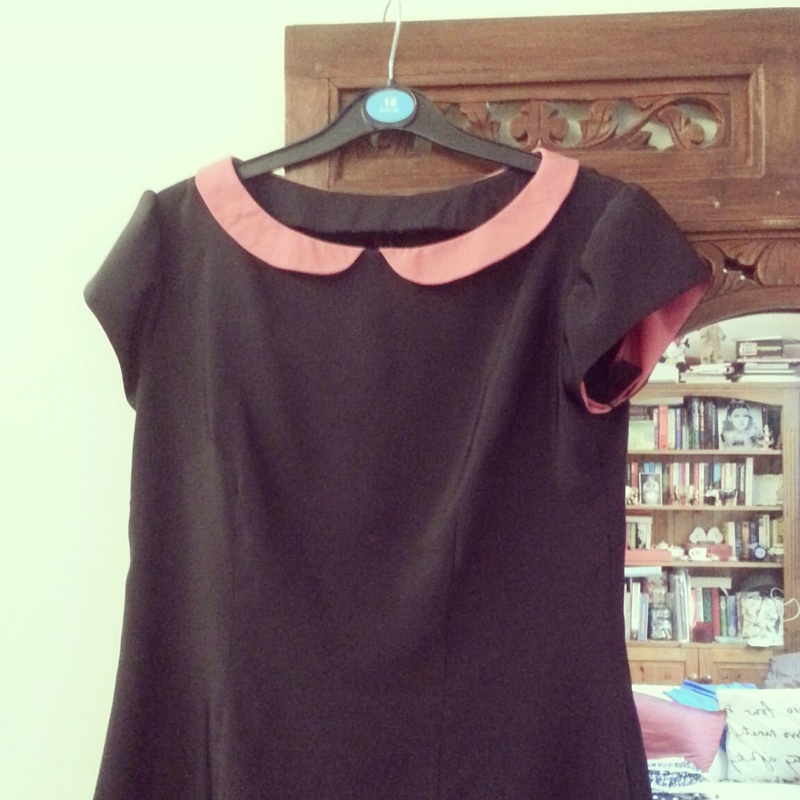 I put the collar together using instructions in my Reader’s Digest Sewing Guide. 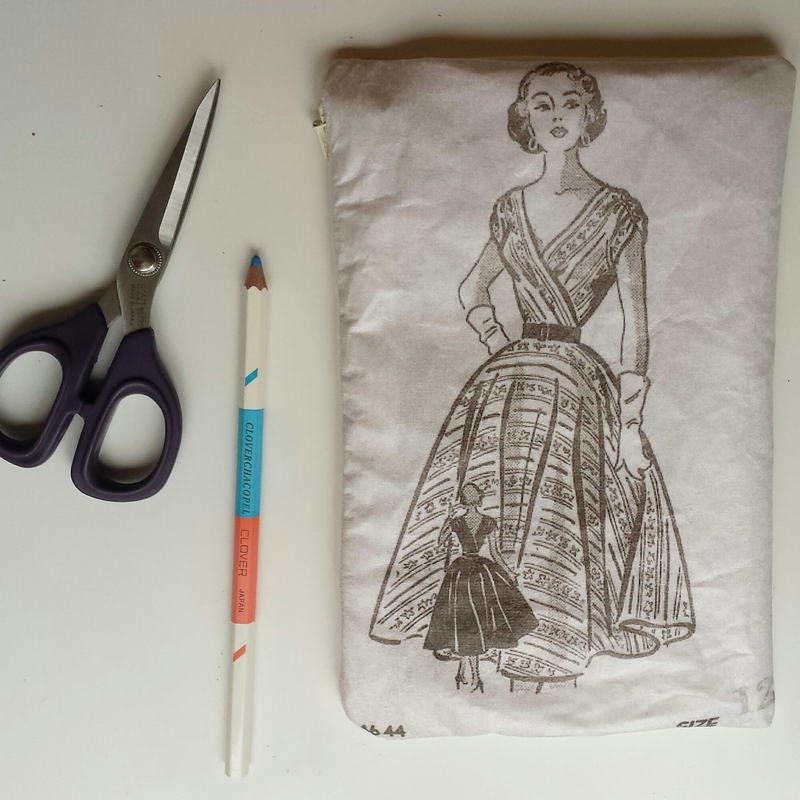 It’s really well illustrated and has little tips for each different type of collar you want to create / attach. I didn’t want my collar to have a centre back seam so I had to make sure the collar fit perfectly given my odd extra bit of construction. 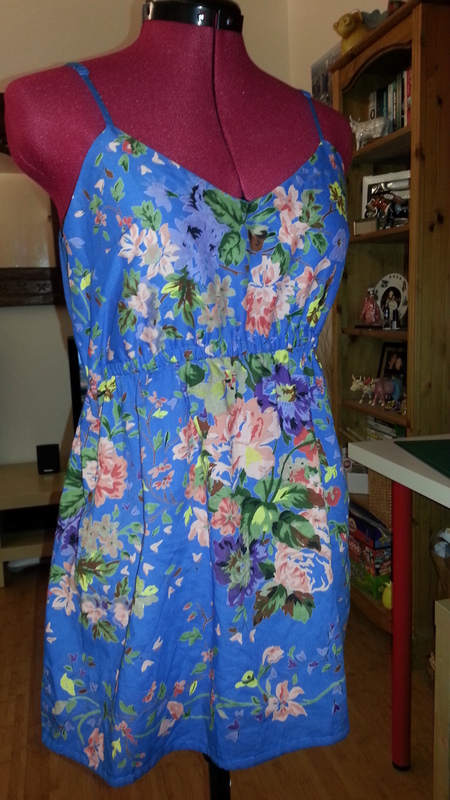 The hem isn’t wonky at the back, that’s just where the top slipped on the hanger. In other news I also got a gift in the post! The pattern I won from Dotty Doodle. 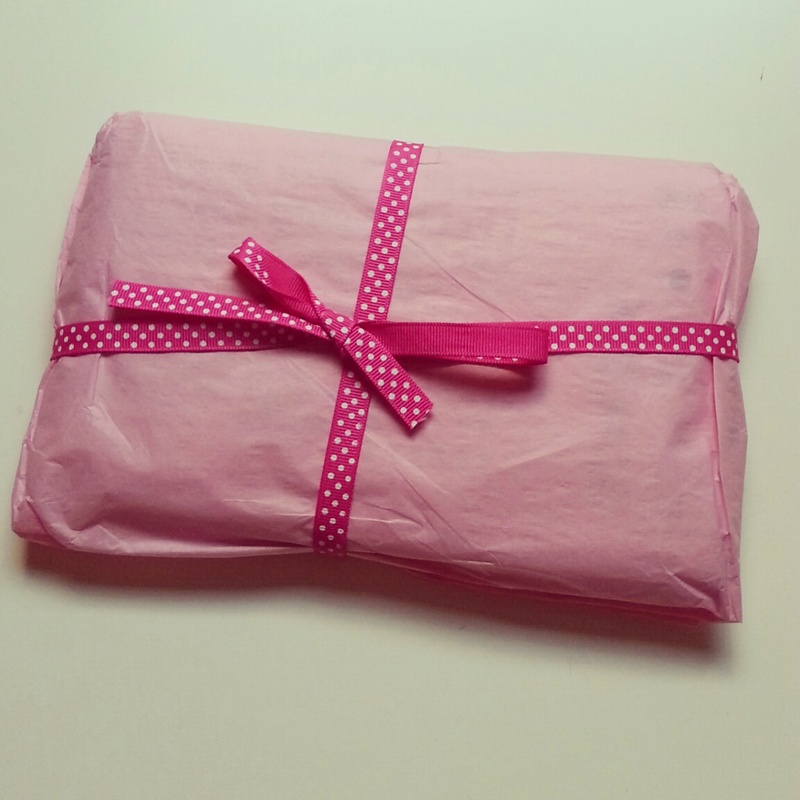 And look how cutely she wrapped it up for me. 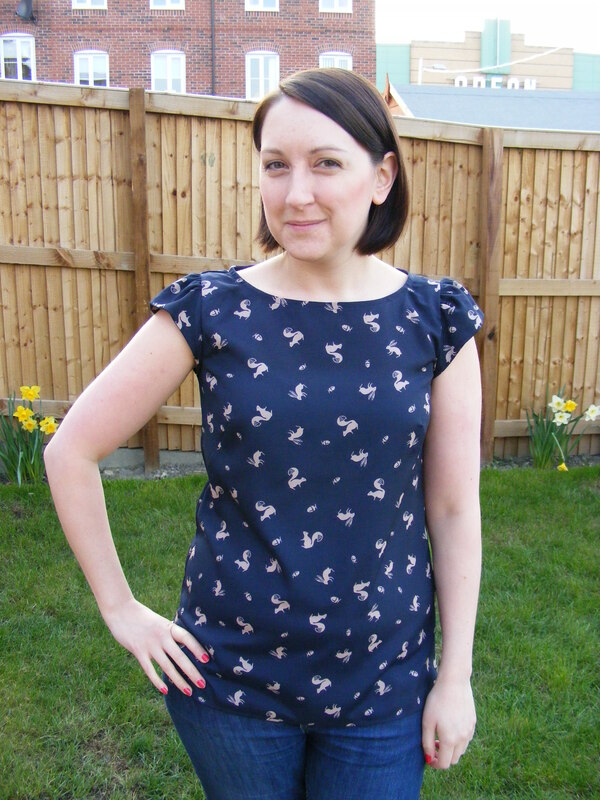 It’s a super wearable straightforward to sew top that can be made dressy or casual as required. 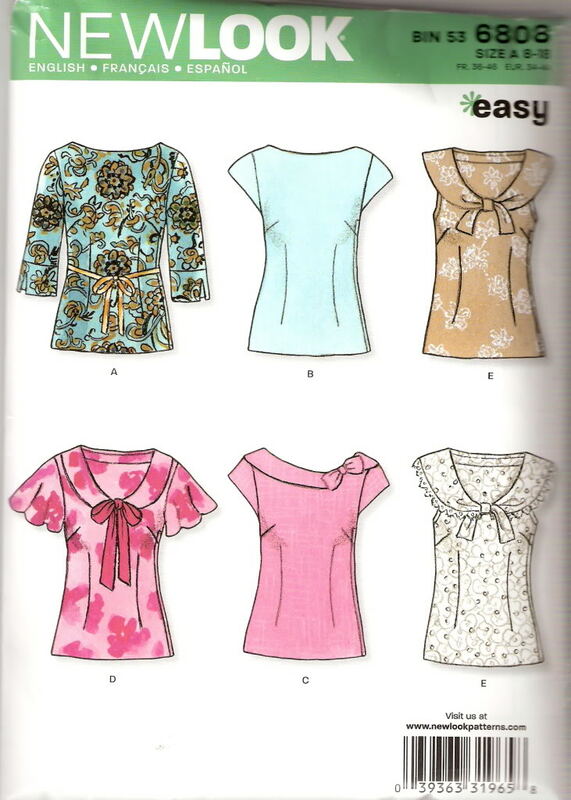 There are good variations to create the perfect top you need with long sleeves, collar variations. 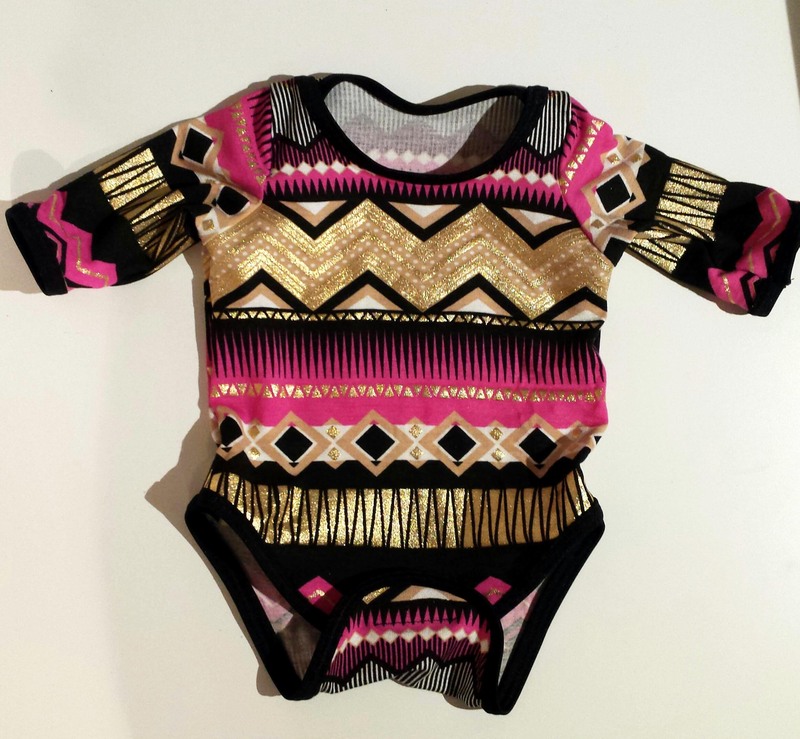 And it’s like a blank canvas for embellishment! For me it was determining the sizing. I am a freaky body type though. Crazily small shoulders and neckline, small bust, bigger waist, even bigger hips. And it took me a while to grade the pattern correctly. What made it more difficult for me is that all the sizes aren’t on a single pattern pieces. They cover only a few, e.g. 8, 10, 12 with another for 14, 16, 18. Great for anyone who wants to grade between those sizes. Not so great for me. YES!! Hell yes I’m making this again. Now I’ve mastered the fit I’m going to be all over this pattern. I’m going to make one with buttons down the back. Another with the long sleeves. Another in view c with the side collar/bow. 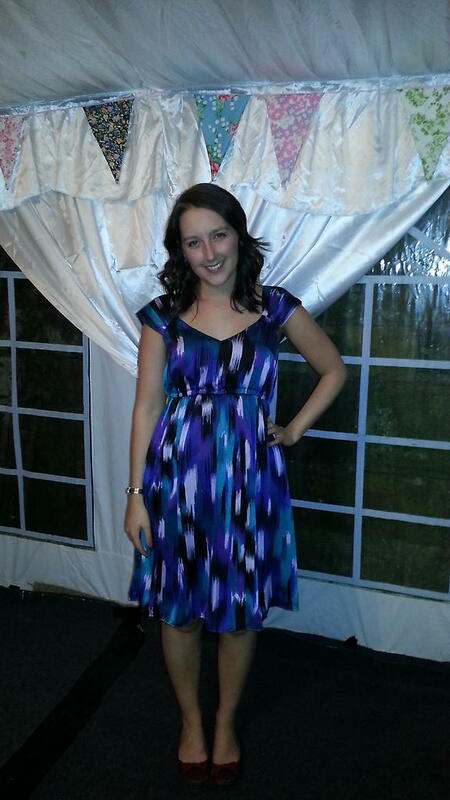 Another with a pleated panel on the front. Another…. oh I’ll shut up because you get the jist! I’ve written this blog post about five times now. I’m both scared and excited to think about what 2013 will bring and my brain is racing at a mile a minute. Unavoidable changes are heading my way and I’m trying to figure out how to roll with them. I’m not going to start waffling on about all of that because it’s been a long day and this is still a sewing blog right?! 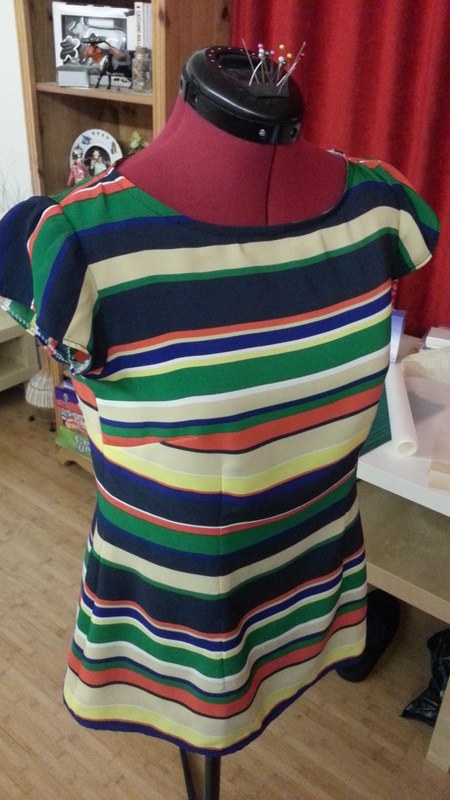 Regardless of any drama the new year has brought, I’ve also done a smidgen of sewing! I eased myself back in slowly. I put an elastic waist in a B5653 strappy floral top UFO that’s been lingering around since Summer. 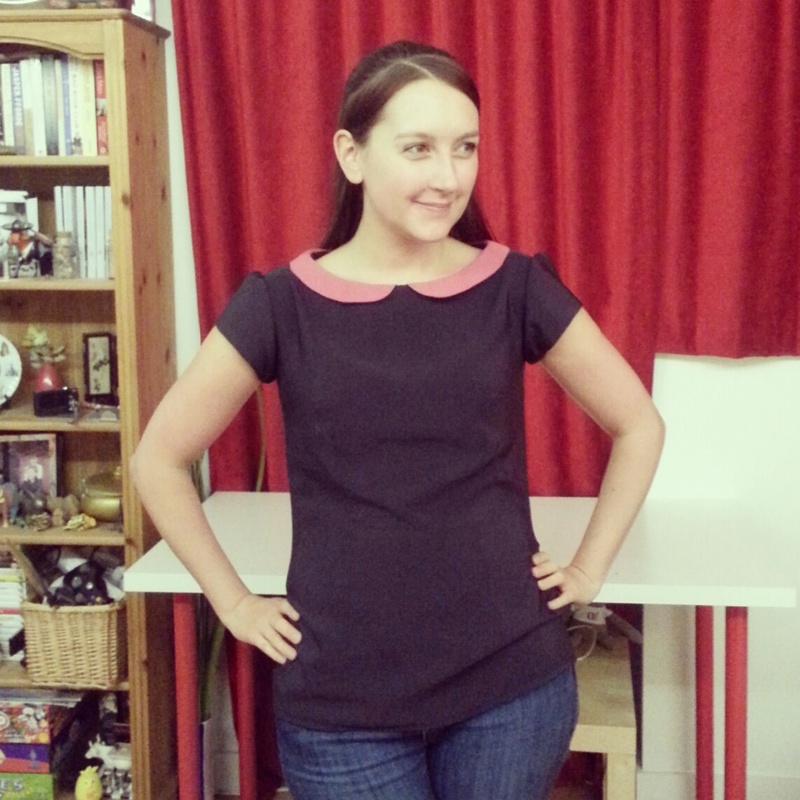 This Butterick top is sort of a refashion and a muslin. I salvaged the fabric from an old Topshop dress and wanted to try out the strappy view of the top before investing other fabric in it. I’m already plotting many more versions of this is. And I think it’d look lovely extended into a sundress. Yes yes I know we’re expecting snow this weekend. Then I hemmed the striped NL 6808 I started before xmas. Tweet peeps are sure to be sick of seeing this top. I’ve posted pics of it in every stage of construction. Check out the bitching stripe matching on it though! On the sides and on the sleeves (this damn near killed me). I also added an exposed zip to the back. Roisin suggested a tutorial post which I’m eager to supply. I will not be showing you the insides of this bad boy but will instead draft up something neater for show and tell. I wore this one today and wasn’t most impressed with how I looked but think that’s just because I’m full of cold at the minute and in my mind I look I have bats nesting in my hair and the pallor of a jaundiced gremlin. And on that delightful note I shall leave you for now. Oh yes I was smug. I had “conquered” New Look 6808. I was dancing around the living room in my finished top and thought hell yeah I’m gonna make another!! I decided to up the fun factor. Thick blue plaid with 3/4 sleeves so it’d be super warm and snuggly! I whizzed through it. And I lined up my plaid pretty well I thought… bust darts excluded obviously. More delicious smugness. Attempt 1 – went mental and forgot the direction of my plaid. Ended up with them in a blatantly different direction to the rest of top. Attempt 2 – correct plaid direction. Waaaay too much ease. Attempt 3 – used tips from Casey and Green Apples on reducing ease from sleeves. Reduced too much and couldn’t lift arms/get top off again/thought it wanted me dead. 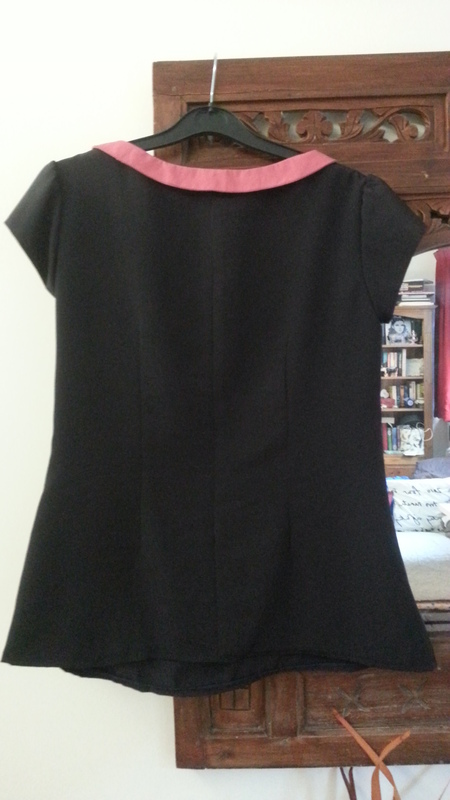 Attempt 4 – cap sleeves a la version 1. Tried to remove less ease than previous attempt. Still removed too much. Again the top tried to choke me to death but with less vigour this time. Attempt 5- oh wait I’m out of plaid!! So I resigned myself to having a sleeveless top. Rather than buy more just to mess around with sleeves. So I started snipping the frayed edges down to apply bias tape (of course they were frayed after all this sewing and unpicking) and had some kind of deranged spasm! I snipped right into the top! Right in there, nice and big and unrepairable. Oh and did I mention I’m out of plaid!? So my top just earned itself a nice place in the bin. At least now I can move on to something else. Hello Polka Dot Truffle party dress! I’ve left you alone for too long.